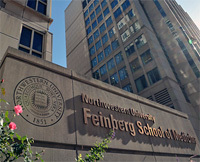 The Feinberg School of Medicine, located in the Streeterville neighborhood of Chicago, Illinois and situated near Lake Michigan and the Magnificent Mile, is one of Northwestern University’s 11 schools and colleges. The medical school offers a full-time Doctor of Medicine degree program, multiple joint degree programs, graduate medical education, and continuing medical education. Complete renovation and modifications to HVAC equipment controls and Integrated Building System retrofit. Condell’s emergency department is the only Level 1 Trauma Center in Lake County, Illinois, treating the area’s most seriously injured patients. It also features the only dedicated pediatric emergency department in the county. Recognized for its quick treatment of heart attack patients, Radiology Department with MRI and PET scanners Condell holds full accreditation from the Society of Chest Pain Centers. New Integrated Building System and HVAC controls. A Topping Off ceremony was held March 23, 2011 for the medical office building located on the west side of the Elmhurst Memorial Hospital New Main Campus. Officials from Elmhurst Memorial Healthcare participated in the event by signing the final steel beam before it was set into place atop the structure. The four-story, 80,000-square-foot medical office building was constructed using the same Prairie-style architecture and comforting interior finishes as other elements of the New Main Campus. It is connected to the new Elmhurst Memorial Hospital near the west lobby entrance and emergency department. The building was ready for occupancy in fall 2011. New Integrated Building System and HVAC controls. The Hospice Foundation of Northeastern Illinois was founded in 1992 to provide financial assistance to the growing Hospice & Palliative Care of Northeastern Illinois. Over the years, donations made by supportive community members have allowed the agency to develop its nationally recognized pediatric program and an integrative services program, expand its grief support services for families, and, most recently, build the first green, free-standing hospice home in the State of Illinois, in addition to supporting research and education for the community. An $18 million hospice designed like a lodge and tucked away on 6.7 acres of partially wooded land. New Power, Lighting, Integrated Building System and HVAC controls. 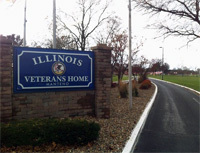 The Illinois Department of Veterans’ Affairs Prince Home at Manteno is a program for homeless and disabled Veterans located at the State Veterans’ Home in Manteno, Illinois. Caring for America’s heroes. Modifications to HVAC equipment controls and Integrated Building System retrofit. The Deerfield location is part of a larger push by Northwestern Memorial to open new physician offices in Highland Park, Glenview, Grayslake, Evanston and Deerfield.The Deerfield site will be one of the largest of the five new sites, offering internal medicine, dermatology and an immediate care center. New Integrated Building System and HVAC controls for new facility. Founded in 1949 and rooted in Catholic tradition, Holy Family Villa is a licensed skilled care facility ranked as one of Illinois’ premier Rehab and Long Term Care Facilities, and is administered by Catholic Charities. 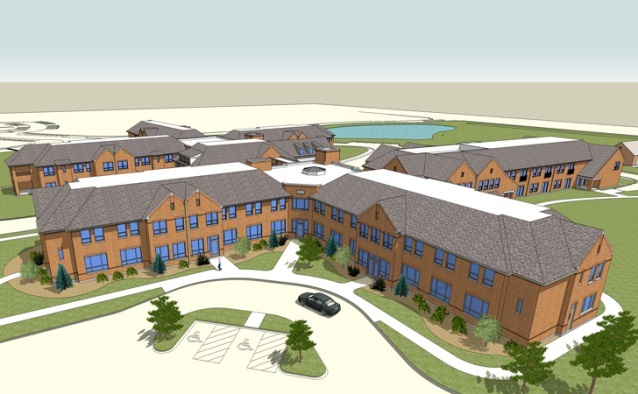 New nursing facility constructed in Palos Park, Illinois. New building – Power, lighting, Integrated Building System and HVAC controls. New two-story addition, named the Lagattuta Center For Health, chiller replacement and pharmacy renovation. Renovation and modifications to Power, lighting, new Integrated Building System and HVAC controls. Medical Office Building, a 43,500 square foot ambulatory care facility constructed in Lindenhurst, Illinois. New building – Power, lighting, Integrated Building System and HVAC controls. For nearly a century, MacNeal has been providing quality healthcare to the Berwyn community and its surrounding area. Renovation and modifications to Power, lighting, new Integrated Building System and HVAC controls.